Anthony (Tony) Shelton, Ph.D., is an International Professor of Entomology in the College of Agriculture and Life Sciences at Cornell University. The focus of his research is developing sound integrated pest management (IPM) strategies for vegetables, with spin-offs for other crops. Components of his research program stress insect population ecology, biological control, plant resistance, agricultural biotechnology, insecticide resistance, insect movement, landscape management, and plant productivity and marketability as a function of insect infestations. In the last 15 years, a considerable amount of his effort has been devoted to risk assessment of insect management strategies, especially insect-resistant genetically engineered crops. His program has a strong commitment to outreach education for the agricultural community and the general public. This is accomplished through websites and numerous presentations. In addition to teaching undergraduate and graduate students at Cornell and other universities, Shelton conducts agricultural research in many of the world’s poorest countries. To learn more about his work, visit the Shelton Lab. 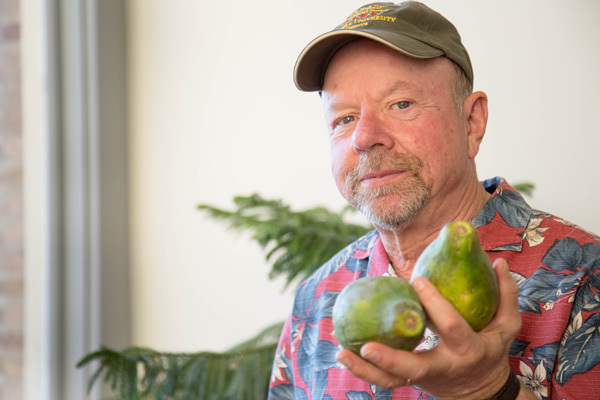 Read Dr Shelton’s 12-part series on the Tragic Papaya.